Pick Analysis: This Brooklyn native is considered an H-back in the Buckeyes' offense, though that won't be his NFL position because of his size. He will produce as a running back and receiver at the next level, as he did while garnering Associated Press All-American honors as an all-purpose threat. The first-team All-Big Ten pick rushed for 771 yards and eight touchdowns (97 carries, 8.0 yards per carry) and caught 74 passes for 865 yards and seven scores; he led the conference with 128.8 all-purpose yards a game and led Ohio State with 15 total touchdowns on the year. Samuel contributed in his first two years, as well. He played in every game of the team's national championship run in 2014 (11-95 receiving, 58-383, six TDs rushing; 12-246 kick returns). He started one game that year, and another in 2015, when he again rushed (17-132, TD), caught (22-289, two TDs) and returned (9-207) for the Buckeyes. Published: April 28, 2017 at 08:09 p.m.
NFL Legend Travelle Wharton announces the Carolina Panthers' selection of Ohio State running back Curtis Samuel in Round 2 with the No. 40 overall pick in the 2017 NFL Draft. 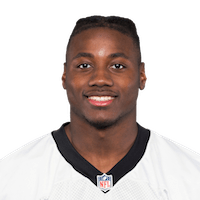 Published: April 28, 2017 at 08:02 p.m.
NFL Media?s Bucky Brooks, Matt Money, and Lance Zierlein give Curtis Samuel an A- instant draft grade. Published: April 3, 2017 at 04:45 p.m.
Ohio State wide receiver Curtis Samuel goes through drills at the 2017 NFL Scouting Combine.